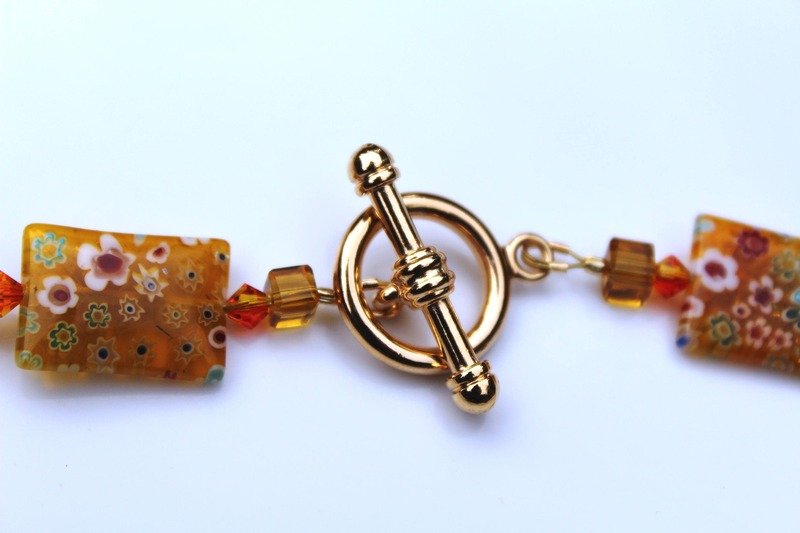 This necklace is such a unique piece! 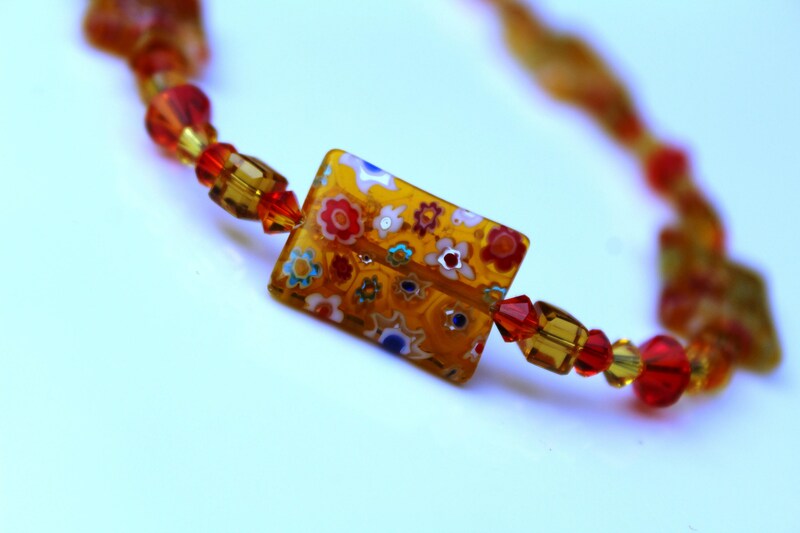 I combined gorgeously detailed Millefiori beads with genuine Austrian crystals. 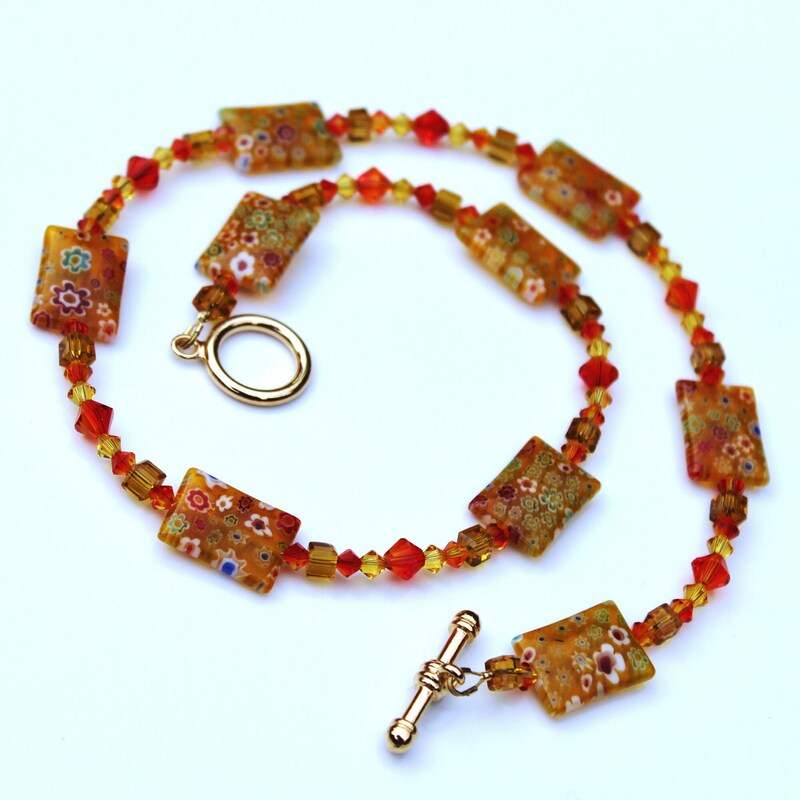 Millefiori beads are made using canes (rods) of glass, with beautiful patterns that can only be seen at the rod ends. 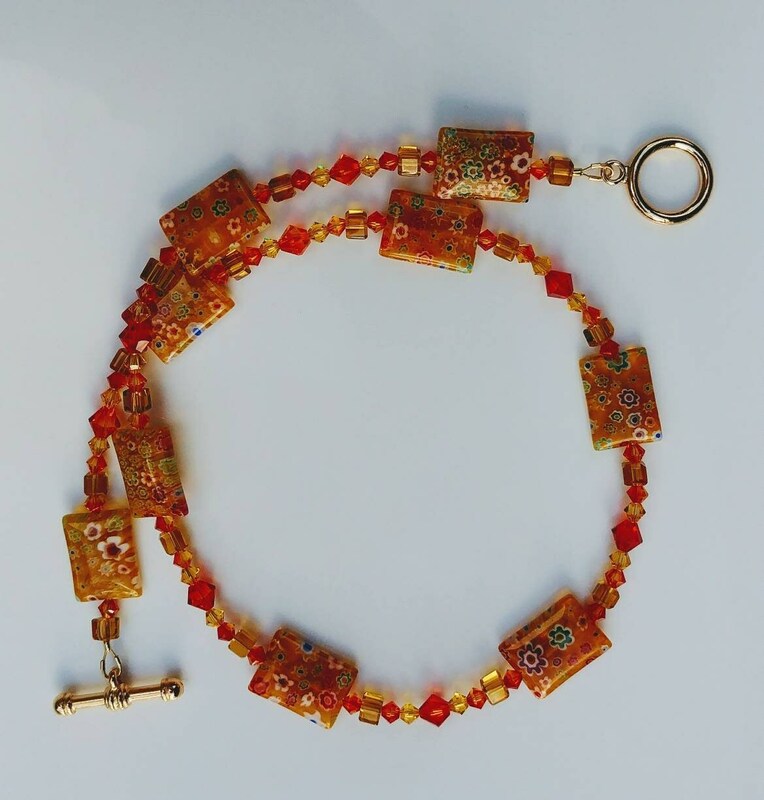 It is heated, then cooled, and then cut into beads, so their color is present throughout the bead, not just on the surface where it might otherwise fade or chip. 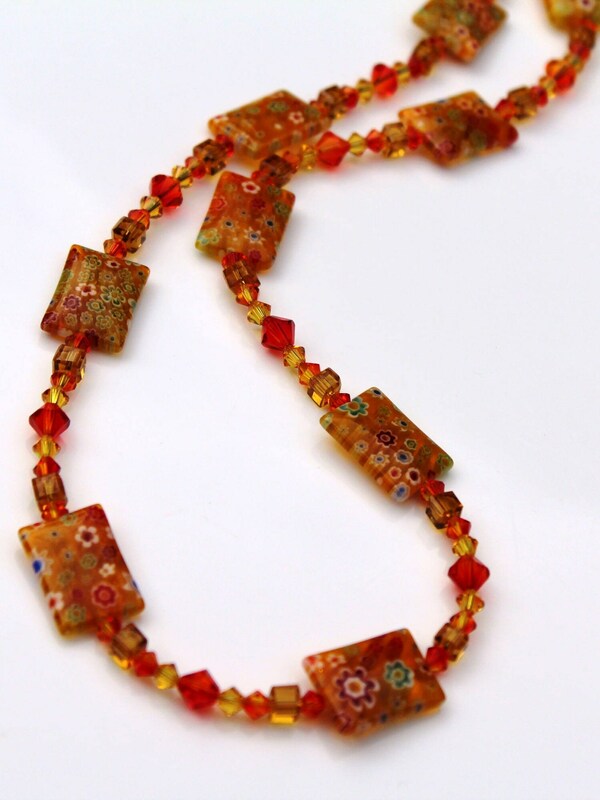 You have shades of yellow, bright orange, amber, red and even some tiny flowers of blue! 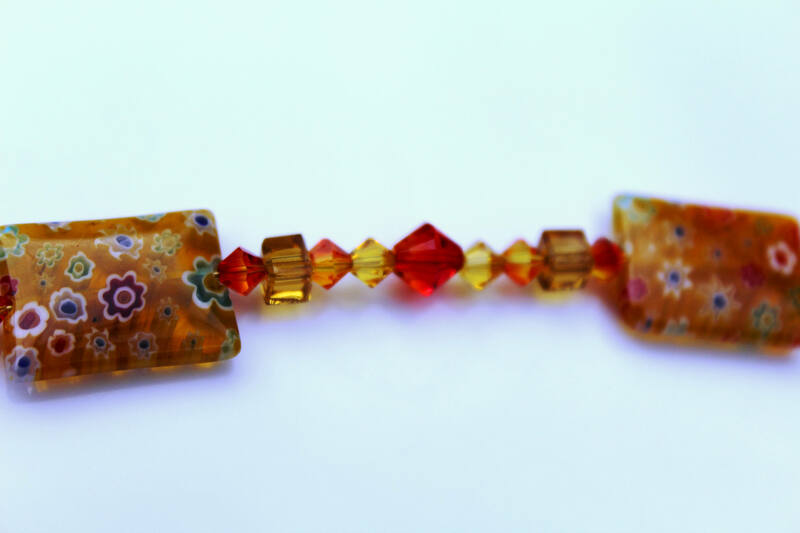 The Millefiori beads are 5/8ths of an inch long and 1/2 inch wide. This entire necklace is 19.5 inches long.